Swap & Find Words! 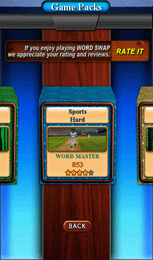 New & Addictive word game with several packs based on different topics!!! 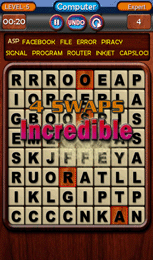 Word Swap is a addictive word puzzle game and casual game supporting all popular mobile devices. Word Swap Support : Runs in over 2500 android mobile devices. 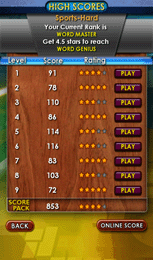 Word forming game with scores, ranking and online competition. Tap over the words to find their meaning from online dictionary. Choose your game theme to suit your mood. 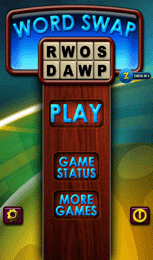 Swap adjacent letters in the board to form words shown above. 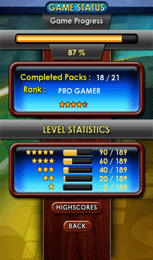 Your rank naturally improves along with your skill as you play again and again, thats what makes Word Swap so addictive. Lesser the number of swaps you make higher your ranking.